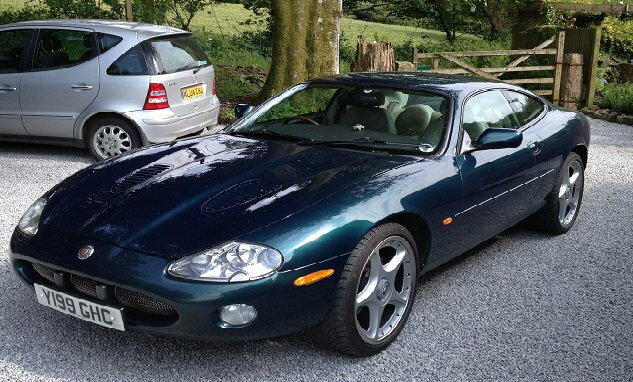 I have decided it's time to sell my much cherished British Racing Green XKR of 2001 vintage. The title say 'Project' and that's due to the corrosion that has affected it over the last couple of years and which will need rectifying in order to pass the MOT. First though, the good bits. The engineand drive train are very good and there are no leaks from the engine, gearbox or diff. The car has covered 150K miles, but the majority of that was covered by the first owner, the jockey turned author Johny Francombe, who travelled from one end of the country to the other attending race meetings. This takes me nicely onto the interior which is cream. Being a jockey of diminutive stature and weight, the interior is in excellent condition. There is one small scuff on the drivers side bolster but otherwise all the seats, centre console, woodwork and carpetsare excellent. The wheelsare 20" BBS JaguarParis and although in good condition a minor refurb would take them to excellent. A new windscreen was fitted about 200 miles ago. I've owned it for over seven years and it's been regularly serviced. It's been parked up in a car portfor the last couple of years but has been started up and moved around in the driveway occasionally to keep everything moving. Now for the not so good stuff. I had a MOT inspector come and look at it at home and he found several issues that need resolving. There is a considerable amount of corrosion around the back end. Both sills are damaged at the rear and the offside bracketthat secures the rear sub frame to the body had corroded badly although he felt the sub frame itself is OK. Also, the front offside springhas dropped down the strut as the springpacker ring has slipped down. Non MOT but will need repairing is the corrosion around both rear arches. This photo was taken a few years ago to give you an idea of what a stunning car this is. I have a lot of current photos I'm happy to e-mail to interested parties that clearly show the current condition. This is an ideal opportunity for an enthusiast to get into XKR ownership for little money. I'm open to sensible offers and obviously any inspection will be welcome. It's raised up at the moment to allow access underneath but obviously there can't be any test drive and it will have to be removed on a trailer. I'd rather sell it to an enthusiast and am putting off listing it on e-bay. Got your PM. Good to hear it sold.